All are welcome to join us anytime! There are no sign-ups or enrollment! as we read the Bible cover to cover. Scroll down to find the links to the different books of the Bible we have covered. Welcome Home Good Morning Girls! 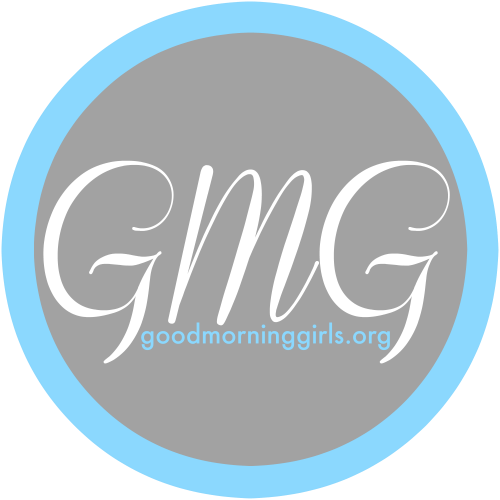 For those who were a part of the old GMG, you may notice there are a few changes as we begin. No enrollment. No requirement to subscribe. Just come and join in anytime! If you would like to do this alone and at your own pace that is fine. I will be your accountability partner here at the blog. Just come visit me a few times a week – I’ll be here for you. 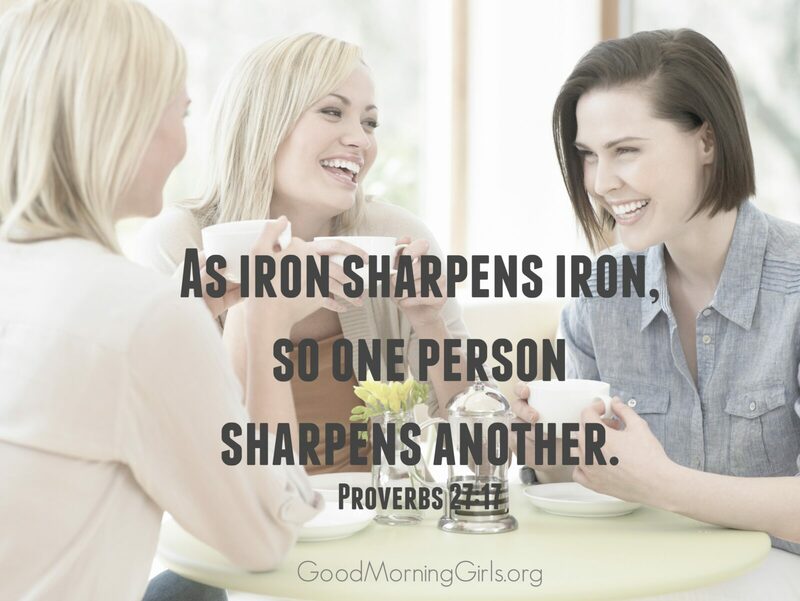 How to Start a Good Morning Girls accountability group. 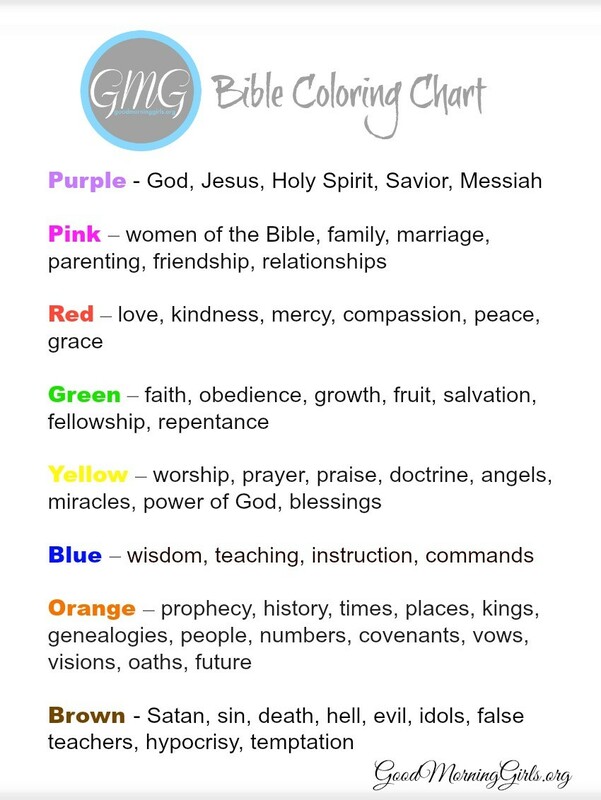 NEW PRINTABLE —> We are reading through the Bible here at GMG so here’s My Bible Reading Plan – so you can mark off the chapters as you complete them! Follow me on Instagram to see my daily color coding! When You Mess Up – Do You Run From God…or To Him? If the Battle Belongs to the Lord – How Do We Fight? Esther is NOT the Hero –God is! 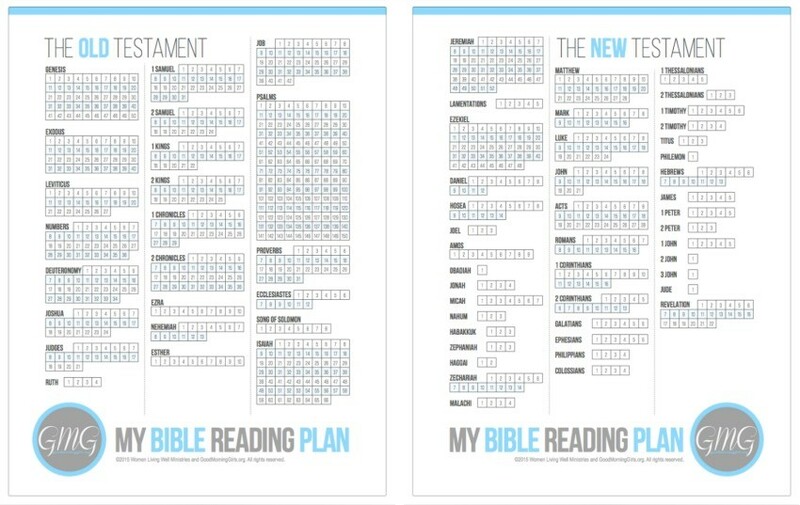 Introducing Our New Summer Bible Study and Something New! Are Money and Happiness Connected? Click here to go to the GMG International page.